Learning how to use a foam roller is easy, but why should you start using a foam roller? First of all it's an inexpensive way to give yourself a self-myofascial release or self-massage at home. Secondly, you will feel great afterwards, it's easy and convenient to use and you will enjoy the many benefits of a deep tissue massage when it's convenient for you. If you have tight IT Bands, quads, calves, hip flexors, glutes, or hamstrings, you can use your own body weight and a foam roller to help your body relax, stretch, and release the tension in your sore muscles and tendons. A foam roller can help prevent injuries by massaging away fascia buildup and breaking up the trigger points that often lead to running injuries. When you learn how to use a foam roller, it will help you stay limber and flexible. It can also help release tension from everyday stress that builds up in connective tissue and increase blood flow and circulation to the soft muscle tissues. When using a foam roller on tight or sore muscles you will feel pain at the same intensity level as you would experience during a deep tissue massage. However, the pain should not be unbearable and you should feel better when you are done. To begin, lie on the floor with your foam roller next to you. Select a specific muscle group to work on and place the roller underneath, i.e. hamstrings, calves. Using your body weight, apply pressure to that area while rolling slowly over the foam roller. Try to keep your body completely relaxed. If a particular area is tight or painful, pause slightly and judging by how it feels, maintain or reduce pressure. You should feel the muscle tension releasing. If it is too painful to bear direct pressure, work on the surrounding areas until the muscle is relaxed enough to endure direct pressure. 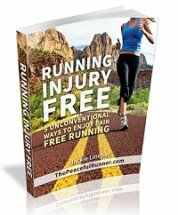 When finished, you should feel good and not excessively sore. Don't overdo it and remember to drink lots of water to help flush your system. Wait a full day or two before working on the same area again. Check out the video below. 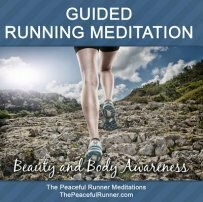 It specifically targets the muscles that are often tight after running. 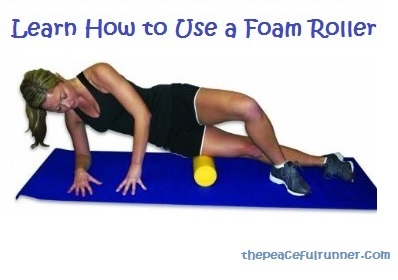 Learning how to use a foam roller can be very beneficial to runners after a tough workout. There are many styles and types of rollers available on the market today. You may become overwhelmed with the choices, but here are some things to keep in mind when shopping for a roller that may help: the density of the roller and the length of the roller. If you want a deep, intense muscle workout, then you will want a firmer roller with higher density foam. If you want a less intense muscle workout, then you will want a lower density or softer foam roller. Also, if you plan to take your roller with you when you travel, keep in mind the length of the roller. A longer one may be great at home, but the shorter ones are certainly easier to pack. RumbleRoller manipulates soft tissue like a Massage Therapist. The surface contains specially designed bumps that are firm, but flexible, much like the thumbs of a massage therapist. As you roll over the top of the RumbleRoller, the bumps continuously knead the contours of your body, gently stretching soft tissue (muscle and fascia) in multiple directions. This action erodes trigger points, helps restore flexibility, and brings quick relief to common types of muscular pain. Trigger Point The Grid Foam Roller is a unique roller that is firm on the inside and soft on the outside. Trigger Point's Grid Foam Roller features a unique 3-dimensional surface that does not prohibit bloodflow at the point of pressure. Practice Self-Myofascial Release Therapy with a Matrix of 3-D Distrodensity Zones that allow blood and oxygen to channel through and create elasticity in the muscle delivering a precision massage. Environmentally conscious, Trigger Point's Grid Foam Roller has a hollow core and sturdy EVA foam construction that uses less foam than your ordinary foam roller and will not break down with normal day-to-day use. The durable, travel-friendly and environmentally conscious product is backed by a 1-year warranty. Power Systems 80260 36 x6 in. Premium Eva Foam Roller Round is long lasting and firm with a soft feel. It will provide lots of pressure and lasts longer than open cell foam rollers. EVA foam rollers are constructed from high quality EVA closed cell foam resulting in a roller that feels soft to the skin while still providing excellent support. Designed for heavy use these rollers will maintain their shape and firmness longer than open cell and non EVA rollers. The Gaiam Foam Roller Kit includes a 15-minute muscle Therapy DVD. Treat your muscles to a deep massage with Gaiam's 18-Inch Muscle Therapy Foam Roller. The Foam Roller gently releases built-up tension and loosens stiff muscles, while elongating and aligning the spine. The included 15-minute DVD teaches you gentle roller exercise routines to help relieve stress and muscle tightness, increase circulation and self-massage trouble trigger points. Ideal for travel and home gym use. Muscle Therapy Foam Roller DVD - Learn how to use a foam roller in this 15-minute workout with famed fitness instructor James D'Silva. The gentle massaging and stretching isolates and works every muscle, elongating and aligning the skeletal system. The simple, restorative routine helps increase range of motion, relax muscles, release tension, and restore soft tissue. High Density Foam Rollers are extra firm and will last much longer than standard rollers. They are designed to give you a more intense workout than lower-density rollers. Low Density Foam Rollers are less expensive than other types of foam rollers. They are usually made from open cell foam and provide a more relaxing and less intense workout. Drawing on principles of the Feldenkrais Method, the SmartRoller Guide To Optimal Movement Set guides the reader through a series of non-traditional exercises and movements with a high level of control and attention, resulting in dramatic improvements in strength, balance, coordination and posture. Practicing movement awareness exercises will free unwanted habits as it utilizes the connection between mindful exercise and neuroscience. OPTP SmartRoller is durable and resilient and is one of the most versatile foam rollers available. While its rounder side increases roller movement, its flatter side decreases movement. With the flatter side down, it can be sat on and stood on for balance related movements, while placing the rounder side down provides a more challenging, dynamic workout. 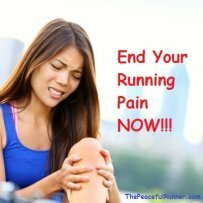 The Marathon Stick works very much like a foam roller in that you can roll the Marathon Stick on your sore muscles for a self-massage, but it is small enough to carry in a backpack so you can easily take it along to races. Great for loosening those tight leg muscles!